Metatronia Therapy is a high vibrations multi-dimensional healing energy system which enable us to experience healing, awakening and transformation in multi levels, physical, emotional, mental, and spiritual, by removing releasing blockages to the root of the causes in the cellular level, DNA, blue print, karma, etc in this life time and or past life times. As the energy flow it is constantly changing, updating and aligning you to your own unique energy frequency assisting you to achieve higher level of awareness and consciousness, becoming one with the universal light, being true to your true self as the extension of the Divine source. It is based on energetic frequency coding and sacred geometrical energy channeled though Archangel Metatron. Sacred Geometry is the architecture or basic fundamental building blocks of our universe which based on mathematics and forms. 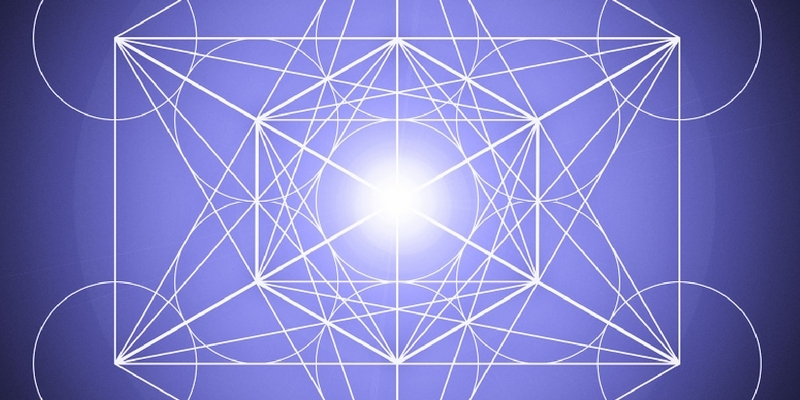 Everything in the universe exists because of sacred geometry. What are Some Benefits of Metatronia Therapy®? Metatronia Therapy® session can be done in person or remotely, both are equally effective since energy travels beyond time and space. What Happens During and After Metatronia Therapy® Session? During an in person Metatronia Therapy® session, the client is fully clothed and comfortably lying down on a massage table or sitting on a chair. Everyone’s experience is unique, result varies and can not be guaranteed but most clients feel relax, peaceful, or calmness after the session and some also notice a significant improvement in their energy levels, alertness and well-being in the days after. For a remote / distance session, a set time will be scheduled and during that time please find a quiet space and lay down comfortably. You may add soft calming music and candles if you like. After the session, you will receive follow up email with feedback from your session. Please drink plenty of water after your session and days after, the water can assist you with the detoxification or healing process.